Young the Giant feels marked by their impressive creative outlook on modern rock, and the live show was the perfect opportunity for them to showcase what their full range of capabilities are. Why See Young The Giant and Fitz and The Tantrums? 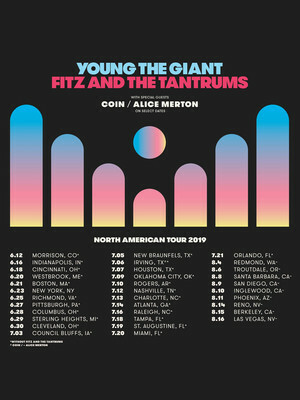 Young the Giant and their label mates Fitz and the Tantrums are providing the ultimate live soundtrack of the summer thanks to a mammoth co-headline jaunt, bringing their respective feel good tunes to outdoor arenas across North America. 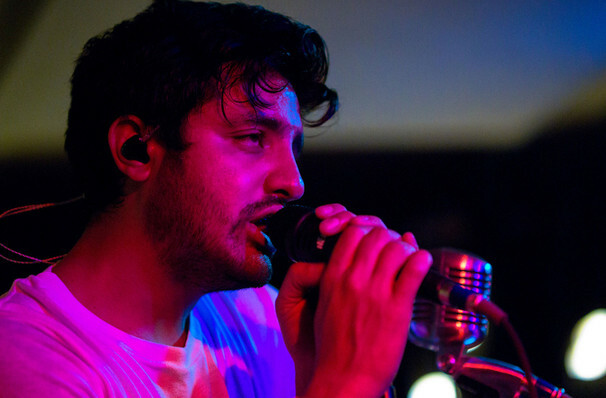 Formed in California in 2004, Young The Giant cut their teeth in the state's indie pop scene under the moniker The Jakes before releasing their first album under their new name in 2010. Eight years later, they're heading to the stage armed with fresh new upbeat material from their fourth studio offering Mirror Master. Inspired by old school Motown and stax records, Fitz and The Tantrums fuses fizzing neo soul and pop together on a glorious debut entitled Picking Up The Pieces in 2010. Its breakout single Money Grabber served as the perfect blue print for further smash hit singles, all of which feature bold-as-brass pop hooks, hand clap-inducing rhythms and anthemic, soaring, singable choruses. They hit commercial gold with their self-titled latest album's retro-glam atmosphere and pop jugular melodies. Seen Young The Giant and Fitz and The Tantrums? Loved it? Hated it? Help your fellow Theatre in Tampa visitors by leaving the first review! Sound good to you? Share this page on social media and let your friends know about Young The Giant and Fitz and The Tantrums at The Cuban Club. Please note: The term The Cuban Club and/or Young The Giant and Fitz and The Tantrums as well as all associated graphics, logos, and/or other trademarks, tradenames or copyrights are the property of the The Cuban Club and/or Young The Giant and Fitz and The Tantrums and are used herein for factual descriptive purposes only. We are in no way associated with or authorized by the The Cuban Club and/or Young The Giant and Fitz and The Tantrums and neither that entity nor any of its affiliates have licensed or endorsed us to sell tickets, goods and or services in conjunction with their events.